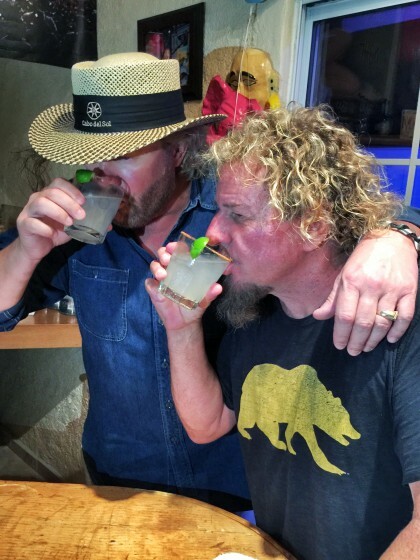 The recipe is really simple, its just a half shot of Toby's Wild Shot Mezcal with a half shot of Cabo Wabo tequila and the rest filled with your regular margarita mix. Then, rim the class with salt, chilis, & dried Agave worm powder... YUM!! It can be a bit spicy, so watch yourself on this one (PS it works great on Bloody Mary's also). 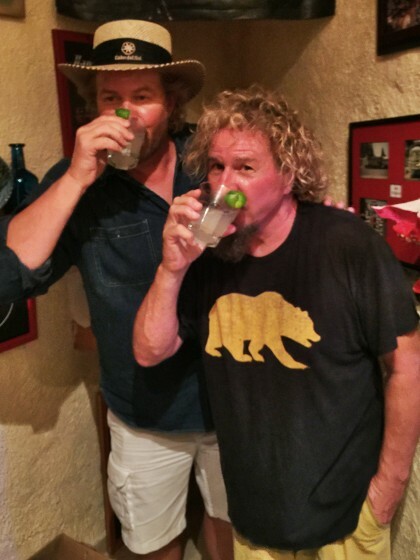 Happy Margarita Day from Sammy & Toby at the Cabo Wabo in Mexico, everyone! If you've become more a Rum person lately, don't forget to give the "Rum-A-Rita" a try instead -- made with Sammy's Beach Bar Rum! Send us your #MargaritaDay pictures to the Sammy's Beach Bar Rum facebook page or email them to info@redrocker.com to win some free merch! March 10th we have reservations. 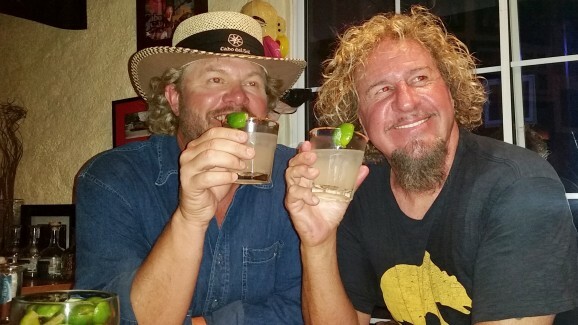 Let's do a birthday shot! Early or late as it may be! apparently my trip to Cabo was a little late. Sorry I missed this. Maybe catch ya in March? it appears I planned my trip there a few weeks too late. This is an awesome photo.